The YPJ is affiliated with the People's Protection Unit (YPG), an armed militia group which is an official part of the governing body of Kurdish territory in Syria known the Kurdish Supreme Committee. The YPJ, the Kurdish female militia that is fighting Jabhat al-Nusra and the Islamic State of Iraq and al-Sham (ISIS) in the primarily-Kurdish north. 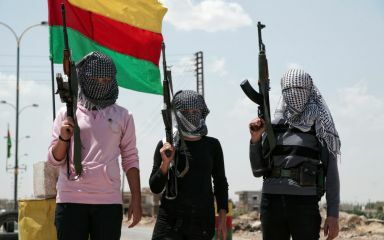 Around 35% of the Democratic Union of Kurdistan (PYD)-controlled People’s Defense Units (YPG) fighters in Syria are women. YPJ (Women's Protection Unit) is an active group formed c. 2013.